This video proves you don’t need a truck to tow a trailer. 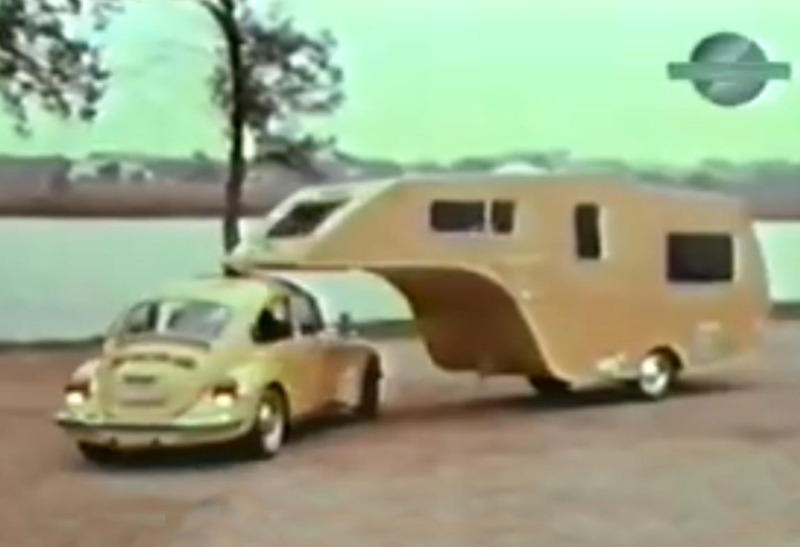 This custom, 5th wheel trailer hitches to a point in the middle of the roof of the VW Beetle. The hitch allows the car to turn a full 360 degrees. 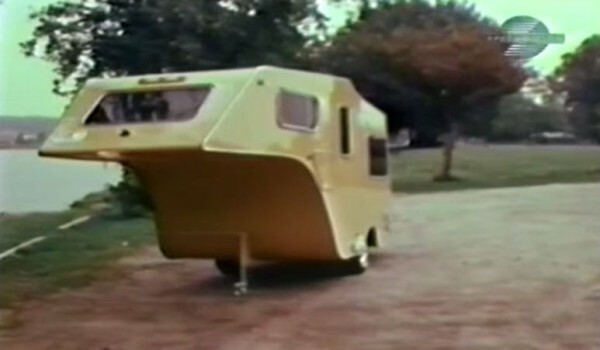 The trailer has an aerodynamic design. 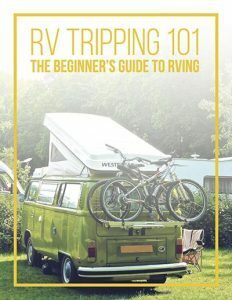 It has sleeping room for 4 adults, or 2 adults and 3 children.The camper has a kitchen sink and closet space, as well as a bathroom. 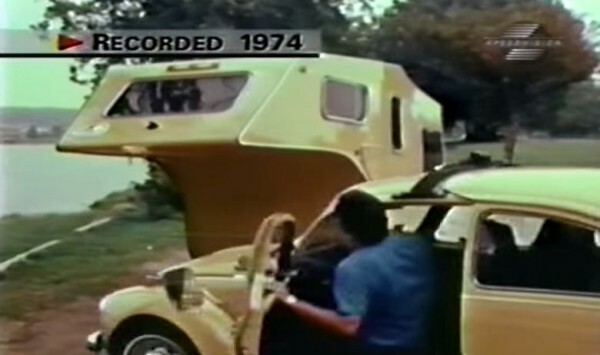 International Travel Trailer, Incorporated created the trailer, and this YouTube video is apparently the only evidence that the trailer existed. That is, until one such travel trailer was recently found abandoned by the folks at Oklahoma Bugs. 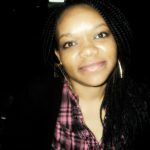 Spread the word on this amazing trailer by clicking like, or leave a comment below.